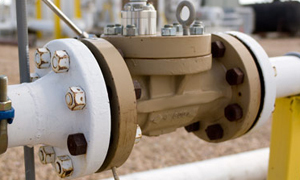 Turbine meters have been used for flow measurement for over 60 years. Turbine meters are used to measure both gases and liquids. 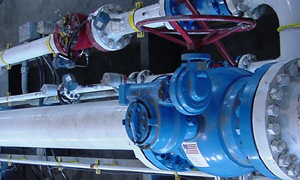 Well made turbine meters can provide accurate and repeatable flow measurement. The relationship between flow and turbine meter performance has been well studied resulting in many different turbine meter designs and methods of calculating flow. Turbine meter performance can be adversely affected if debris damages or alters the shape of the blades. Dirty or damaged turbine bearings can affect flow measurement, especially if the turbine meter is being operated at the low end of its operating range. Request a quote or contact us if you have questions about turbine meter calibrations. We have invested considerable resources into creating the Flow Measurement Technical Library so that could be a useful resource to the flow measurement community. There are free downloadable papers and abstracts from a variety of organizations relating to turbine meters. This library contains over 68,000 documents from organizations including NIST, ISHM, AGA, ISFFM, ASGMT, FLOMEKO, MSC, AGMSC, WGMSC, ASME, NEL, and others. Search the Measurement Library for papers on turbine meters.